There’s nothing like a delicious strawberry fresh from the field. On second thought, eating a delicious strawberry while standing in the field where they grow could be better…much better, actually. You know what would be even better than that? Eating a delicious strawberry while standing in the field where they grow on a farm right in our own backyard. Sounds pretty perfect, right? Well, you can do that! 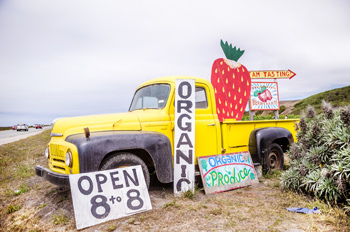 There are farms on the San Mateo Coast where you can pick your own fruits and vegetables. They’re called “u-pick” farms and, for a nominal fee, you can harvest your own produce. It’s a blast and an activity the whole family can enjoy. R&R Herbs grows four acres of u-pick olallieberries and offers an assortment of products in their farmstand. 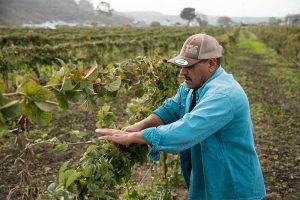 The farm is owned and operated by Jose Ramirez, one of the only first-generation Mexican-American farm business owners on the coast. Jose is currently leasing his 25-acre farm from POST. His organic olallieberries will be in season from mid-June through early August. Blue House Farm has a u-pick strawberry patch in the summer (pumpkins in the fall) and a variety of produce available in their self-service farmstand. The farm is owned and operated by Ryan Casey, who currently leases 74 acres from POST near San Gregorio. They’ll have u-pick organic strawberries available from June through August and organic pumpkins in October. Swanton Berry Farm is one of the oldest u-pick operations on the coast. The farm is owned by Jim Cochran, one of the early pioneers in growing organic strawberries at a commercial scale. They will have u-pick organic strawberries available from June through August. Click here for directions to their Pescadero location and here for the Davenport location. Excited about these local farms? 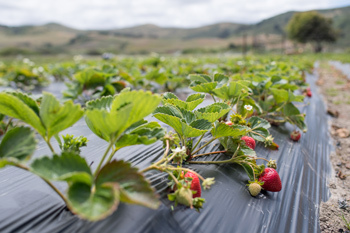 Then you’ll be excited to learn more about our Farmland Futures Initiative which aims to triple the number of protected farms on the San Mateo Coast in the next ten years. Learn more about this work here.